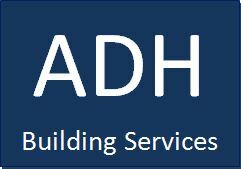 If you are looking for a hard working and reliable building company, here at ADH Building Services we think that we have all the qualities that you need. Be it a complete house renovation, or a small home improvement project then feel free to contact us for a no obligation discussion. We can talk about what you need and how we can bring your plans to life. We have established an excellent reputation with our clients whom we can put you in contact with if you would like a verbal reference. Our tradesmen are all time served, fully qualified, and hold vast experience in all aspects of the building trade. Customer references. Visits to completed work sites. Very prompt service and friendly staff. Went to great lengths to get parts/fix promptly because of husband's health. Very grateful. Very kind on phone. Warranty. The workmen were very good and speedy and clean. Friendly, efficient & helpful. Dan has done a fantastic job and kept disruption to a minimum. Workmen and sub contractors were courteous and friendly. Every effort was made to keep the house tidy. Excellent time keeping. Kept informed days attending, excellent bricklayer Paul & Dave. Sadly I cannot comment on how good ADH are as they basically left me hanging. Dan came round to our property and seemed to be very thorough and gave us confidence we had asked the right people to do our work. He said he would get back to us with a quote in '2-3 weeks', which seemed a bit of a wait but we were keen. We waited, and waited. Nothing. Called, text, email, nothing returned. Pretty unimpressed, and to make things worse another builder we liked took work on in the meantime so we lost them too. Punctual, clean and tidy. Very pleased with the work carried out. Very efficient and friendly, punctual and hardworking. Dealt with any issues promptly, cleaned up every day on leaving. Very helpful. Work flowed very well (Elect, Plumb, Plastering etc) on time couldn't have had any better. Dan from ADH visited my property today to assess a couple of issues. He arrived on time, was very friendly and professional and was happy to explain matters to me in simple terms. He assured me that no action was currently needed, advised how to monitor it and left me reassured. If you want honest impartial advice, I can honestly say Dan is your man. Dan and his crew did a fantastic job bringing my kitchen into the 21st century. They arrived on time, worked efficiently and tidied up before leaving each day. Solutions were found to any problems and any extra costs were discussed before being incurred. As a women on my own I felt completely comfortable with them in my home. I have no hesitation in recommending them. Danny kept us informed at every stage of work. The work was carried out to a high standard. He gave us good advice, turned up on time and returned our calls. We would recommend him and his workforce. Very happy with our conservatory. Dan was very honest and efficient and came back promptly to sort out some minor niggles after completion. All the tradesmen who came were very hard working, polite and tidied up before they left. Work was to a very high standard. We will definitely use ADH in future. Excellent service. Excellent communication keeping us well informed of progress and costs. Punctual builders, hard workers and cleaned up after themselves. No hesitation in recommending. Thoroughly recommended service. Prompt and professional tradesmen. The whole team were hardworking, friendly and totally professional. I would not hesitate to recommend ADH to anyone. Danny has been thoroughly professional all the way whilst we have converted the old pub into offices. Many issues have arisen and Danny has been able to find a solution. I have no hesitation in recommending ADH to anyone. Very reliable and communicated well. Work was carried out quickly and accurately, exactly as planned and left tidy. Finished price was as quoted. Will use ADH again and would recommend them. Dan and his team were all skilled tradesmen who worked hard and well together. Also helped us out a few times at short notice. Would definitely recommend. All very nice workmen, after having work done by ADH, wouldn't use any other builder, nothing too much trouble. Excellent work. Good advice given. Excellent work. Always on time, always cleans up. Very highly recommended. Efficient and good workers. Helpful and pleasant to have around. Trustworthy and on budget. Honest about unforeseen problems. Excellent service and high standard of work carried out. We were kept informed of the jobs developments and progress. All craftsmen tidied up as they went. Very neat & clean jobs. Happy workmen who would be more to help than asked.